Published on January 31, 2014 in Clyde, Game On Challenge, Holly Cram and plaque. 0 Comments Tags: Clyde, east renfrewshire, Game On Challenge, Glasgow City Council, Holly Cram, plaque. Today has been the busiest day of Clyde’s tour so far. Clyde visited five schools and all of them were presented with Game Scotland plaques and our Game On Scotland ambassador, Holly Cram, also presented a plaque to another two schools – seven in one day! Clyde began the day by awarding East Renfrewshire’s first plaque to Busby Primary School, before moving on to visit four Glasgow schools: St Fillan’s Primary, Cardinal Winning Secondary, St Joachim’s Primary and Eastmuir Primary. Cllr Archie Graham of Glasgow City Council joined Clyde to present the plaques to four of the schools and Holly also visited Lourdes Secondary and Shawlands Academy to present their plaques. It’s been an exciting and hectic day! All seven schools are to be congratulated on the way they have used the Glasgow 2014 Commonwealth Games as a context for learning, and in such different ways. Culture 2014: Join the party! Published on January 30, 2014 in Culture 2014 and Glasgow 2014. 0 Comments Tags: comedy, culture2014, dance, digital media, music, theatre, visual arts. The Glasgow 2014 Commonwealth Games features 17 sport across 11 days of competition, but it’s a whole lot more than that: it’ll also coincide with one of the largest cultural programmes ever seen in Scotland. Game On Scotland already features some of the largest projects, such as Big Big Sing and Get Scotland Dancing, but today a further 42 projects were announced as part of the programme and there’s a great mix of activity which will appeal to all ages. The new announcements include more than 800 children from across Scotland taking part in two family classical music concerts, films inspired by true stories of journeys of Shetlanders on ships made on the Clyde, and new light being shed on some of Glasgow’s forgotten architectural gems. The newly announced projects join an unprecedented nationwide programme of activity featuring new work created by world-leading and emerging Scottish and international artists in response to the country’s hosting of the Glasgow 2014 Commonwealth Games and our relationship with the Commonwealth. Aiming to enhance the Games experience for Scotland’s communities, spectators and visitors as well as presenting the best of Scotland’s culture alongside that of the Commonwealth, the Cultural Programme includes almost 200 projects and exhibitions and over 800 events involving thousands of artists, performers and participants, across hundreds of locations and venues the length and breadth of Scotland. Some relevant highlights of the programme are noted below, but you can find information on all projects (and search listings where dates are confirmed) at www.glasgow2014.com/culture. Performed in parks across Scotland, this outdoor theatre production by Visible Fictions has the cast and audience travelling through the story on bikes. The Blue Block Studio pop-up space provides creative play for babies under 24 months and their adults, plus a storytelling performance for 2–4 year olds. Based on a true story, this National Theatre of Scotland production is a lively musical play, following a group of seven teenage girls who unite to campaign for their asylum seeker friend, when she and her family face the threat of deportation. Scottish Dance Theatre is bringing the city of Dundee to life with projections of giant toddlers, a pop-up park, and other groundbreaking collaborations between internationally renowned artists. Every type of public space will become a playful site of city-wide dance. Published on January 29, 2014 in Active, Award, Legacy 2014, Legacy tickets and Uncategorized. 15 Comments Tags: Game On Challenge, Legacy 2014, tickets. 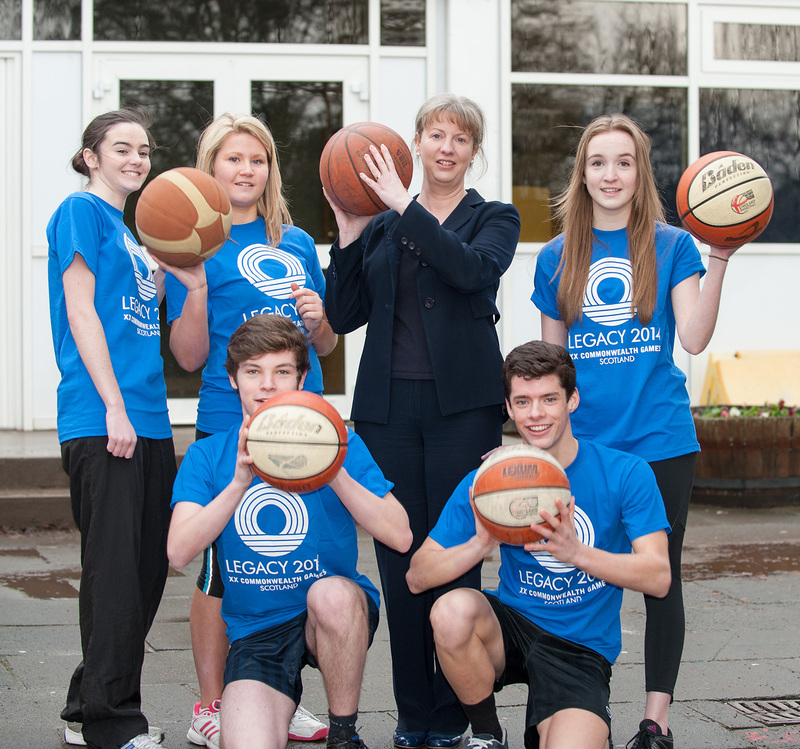 Game On Scotland is delighted to have been allocated 1000 ‘Legacy Tickets’ by the Scottish Government. The education programme aims to engage learners across Scotland with the Games by creating exciting learning opportunities across the curriculum. These tickets will be instrumental in contextualising learning and provide young people with the once in a life time experience that helps to create a lasting legacy well beyond the Games itself. If you don’t want to miss out on the opportunity to be considered for Legacy tickets’ through Game On Scotland make sure your school is part of the ‘Game On Challenge‘ network and features on the interactive map. 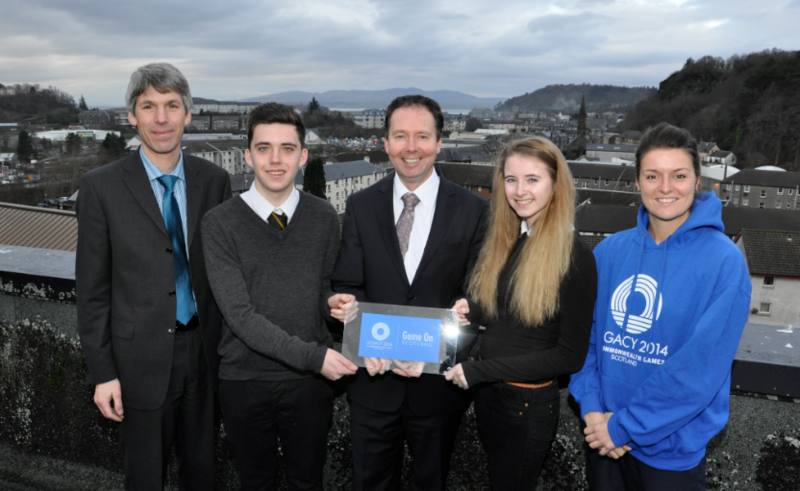 Published on January 29, 2014 in Clyde, Game On Challenge and plaque. 1 Comment Tags: angus, Clyde, fife, Game On Challenge, plaque. On day three of his Game On Scotland tour, Clyde was out and about visiting schools in Fife and Tayside and two of the schools visited were also awarded Game On Scotland plaques. Kirkton of Largo Primary School is the first Fife school to receive a plaque for their outstanding Games-related work, with Glamis Primary taking the honours for Angus. Congratulations to both! The Queen’s Baton Relay has been a major focus for Kirkton of Largo, with pupils tracking the progress of the baton around the 70 nations and territories of the Commonwealth and posting updates on Twitter. These updates led to Vision Africa, a charitable organisation, offering to take the pupils’ baton to Kenya, where it featured in the real Queen’s Baton Relay alongside famous Kenyan athlete Kipchoge Keino. The school has also been engaged in researching the countries of the Commonwealth, has signed up to the Digital Commonwealth project and even featured Clyde in their nativity! 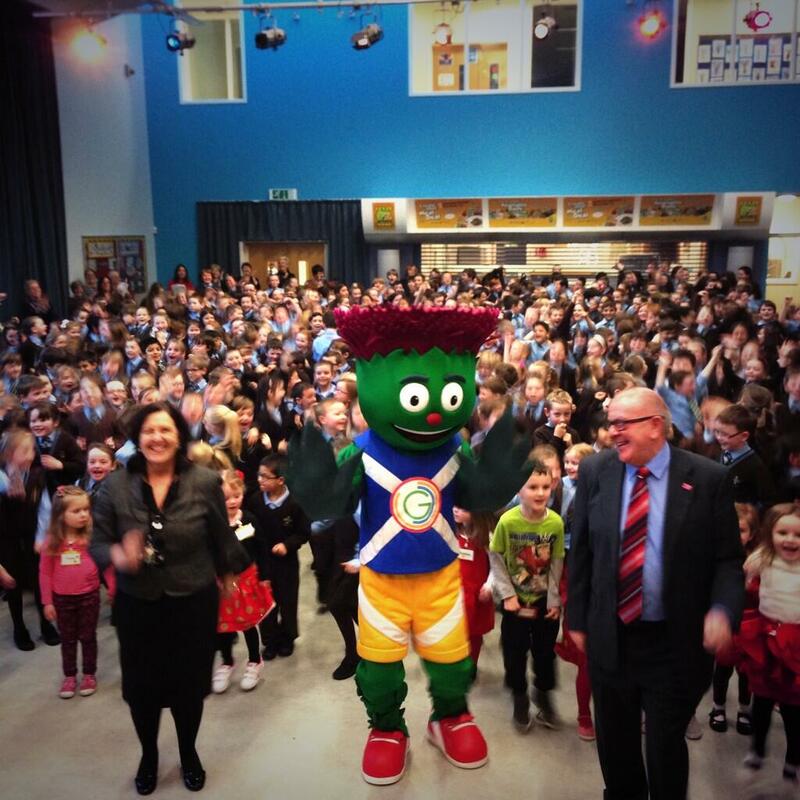 You can follow the school’s updates on Twitter at @KirktonPS, including lots of photos of Clyde’s visit. Glamis Primary pupils have been set 30 Commonwealth Games challenges, linked to sports but extending out across the curriculum. From boxing to lawn bowls, they’ve been working on peer-led projects and even involved families and the local community. In the words of one teacher, their work has spread “Commonwealth Fever” throughout the school. The school will be continuing its work right up to the end of session, with more pupils set to be involved as their activities build to a climax. Published on January 28, 2014 in Clyde, Game On Challenge and plaque. 0 Comments Tags: aberdeen city, aberdeenshire, Clyde, Game On Challenge, plaque. On the north east leg of his latest Game On Scotland tour, Glasgow 2014 mascot Clyde was pleased to recognise the efforts of another two primary schools: Airyhall School in Aberdeen City and Meiklemill School in Aberdeenshire. Both schools became the first in their local authorities to have their achievements recognised in this way. Pupils from nursery through to P7 at Airyhall have been getting active, with taster sessions in rugby, football and even Zumba! They’ve also nominated their own batonbearers for a school network Commonwealth Games and designed doors for each class, reflecting traditions and customs from different nations and territories of the Commonwealth. The school has been counting down to the Games with lots of other exciting activities and has been tracking the progress of the Queen’s Baton Relay, ahead of their own version across their school network. Meiklemill School has been nothing if not ambitious, engaging in a huge amount of activity related to the Games. Like Airyhall School, there’s simply too much to mention! Highlights include active challenges as part of the school’s Health Week, including 2014 skips, a 2014m collective walk and a simulated bike ride from Ellon to Glasgow. As well as learning about the Commonwealth and work on the Queen’s Baton Relay, they’ve also made great use of Clyde as inspiration in the school, so were no doubt delighted to welcome him in person. Both schools deserve congratulations for what they’ve achieved and, excitingly, they’ve outlined lots more activity still to come before the end of session. Published on January 27, 2014 in Glow Meet and Holly Cram. 0 Comments Tags: ambassador, Glow Meet, Holly, Holly Cram. 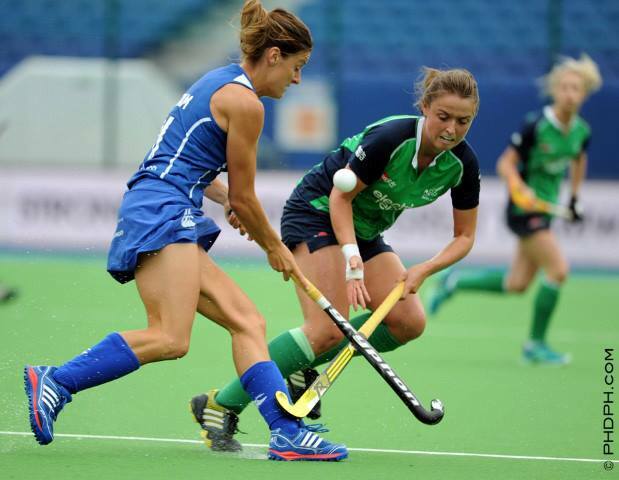 Holly, a Scottish International Hockey player with over 140 caps, has join the Game On Scotland Team as official ambassador to assist schools in making the most of the exciting opportunities the 2014 Commonwealth Games offer young people. Holly will tell you about her exciting carreer as a international hockey player and share some of her insights into what makes a successful team player. She will also answer any questions you always wanted to ask a top athlete! See you all on Thursday! Game On! Published on January 27, 2014 in Clyde, Game On Challenge and plaque. 0 Comments Tags: Clyde, east ayrshire, Game On Challenge, plaque, south ayrshire. 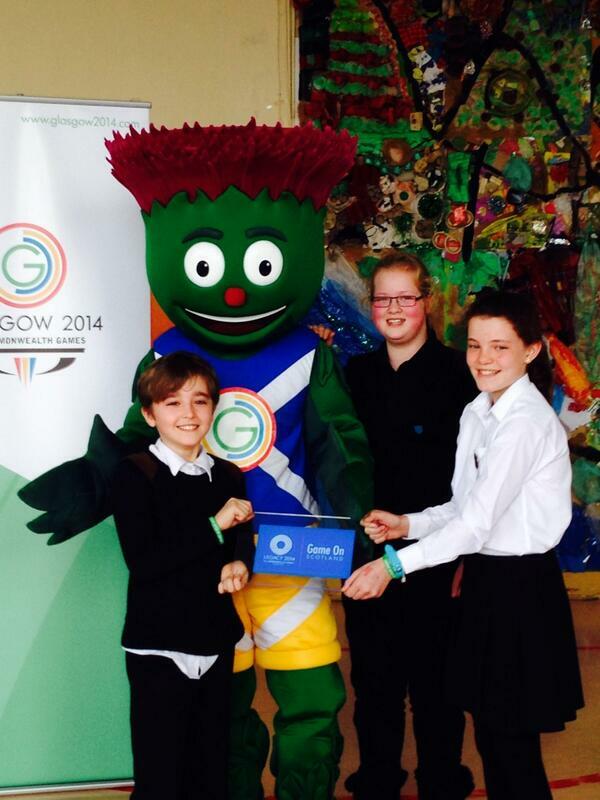 Glasgow 2014 mascot Clyde was out and about today visiting primary schools in Ayrshire and made time to present the latest Game On Scotland plaques to two more schools. Gargieston Primary School in Kilmarnock became the first East Ayrshire school to be recognised, with Fisherton Primary School in Dunure the first South Ayrshire school to get their plaque. Both schools have been using the Games as a context for learning across the school and have well-developed plans for even more work in the terms ahead. Congratulations are due to both schools for all their hard work! Published on January 17, 2014 in Award, Game On Challenge and Holly Cram. 1 Comment Tags: Game On Challenge, Holly Cram, Queen's Baton Relay. Oban High School has already engaged their learners in Games related activities ranging from a variety of challenges set for tutor groups to senior coaching classes. This will culminate in a cluster sports day in during the summer term. Murray Hamilton (PT- Health & Wellbeing) believes that the Games related activities will help to build a positive whole school ethos and healthier approach to life by young people. Murray says: We hope that the legacy of 2014 will live on and health and wellbeing will no longer have to be explained, it will be the norm! Published on January 13, 2014 in Award, Game On Challenge, Holly Cram, plaque and Uncategorized. 1 Comment Tags: education, Game On Challenge, Holly Cram, interdisciplinary, plaque. Game On Scotland ambassador Holly Cram awarded Pitlochry High School with the Game On plaque for the challenges they have set themselves to creating exciting learning experiences in the wake of the Commonwealth Games. The school has planned a whole year of challenges around the Games, ranging from inter-house activity days with Dragon’s Den presentations of their own mascot design to exploring the Commonwealth values. An extensive programme of sporting and outdoor initiatives support the agenda with swim- and bikeathons, extra curricular athletics, badminton competitions organised by the Youth Sport ambassadors, climbing, kayaking & mountaineering and even ‘Street Dance’ sessions. The school will conclude the year with two major events, the Primary Cluster and the High School Commonwealth Sports Day. Congratulations and best wishes from the Game On Scotland team. Published on January 9, 2014 in Competition. 2 Comments Tags: Big Big Sing, Competition. Write a Commonwealth Games song! Big Big Sing is a nationwide celebration of singing that will inspire thousands of people to get singing in the lead up to and during Games Time. 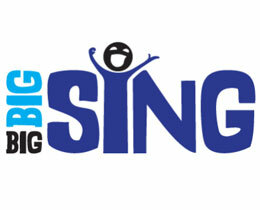 As part of this project, Big Big Sing is running an exciting songwriting competition open to Primary and Secondary School pupils in Scotland. Big Big Sing invites pupils to write a song inspired by the Commonwealth Games, pupils can work individually or as a class to write a song between three and five minutes in length. With the games just around the corner there’s no shortage of inspiration for budding songwriters! There’s a fantastic prize on offer which includes having a video of the winning song made and performing the song in front of thousands as part of the Glasgow 2014 Cultural Programme! One winning entry will be picked from each category (Primary and Secondary School) by an expert judging panel. – A performance spot at the BIG Big Big Sing event in Glasgow during July 2014. For full guidelines and to find out more about the competition and the project in general please visit http://www.bigbigsing.org/start-singing/song-competition/.